Based on the company’s extensive experience we are able to provide support for improving the speed of the drug development process. Using the latest technology and equipment, centered primarily on the use of LC/MS/MS, we are able to carry out all suitable measurements at our GLP-compliant facility, and also we have experience of validation of over 100 different measurements each year. Based on character of drug structures or on your/clients information, we develop a measurement system that is based on LC/MS. 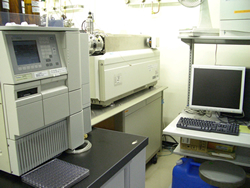 Investigation is subsequently performed using the pretreatment method of the sample and analytical conditions of the equipment. Measurement techniques developed by the company essentially follow the FDA’s Bioanalytical Method Validation, in being subject to validation. These techniques are tested using various conditions such as examining the stability of target object in blood, in preparation for use in actual clinical testing. Following validated measurement techniques, measurement is carried out in line with GLP. The TK studies are available under the same quality and reliability levels as our GLP compliant and certified safety studies in the Kashima and Kumamoto Laboratories. We have a broad range of experience with all sorts of different animals. 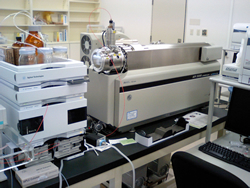 Blood Kinetic Tests, Bioavailability Tests, Biological Equivalence Tests, and Drug Interaction Tests in vivo are available in Kashima and Kumamoto Laboratories.